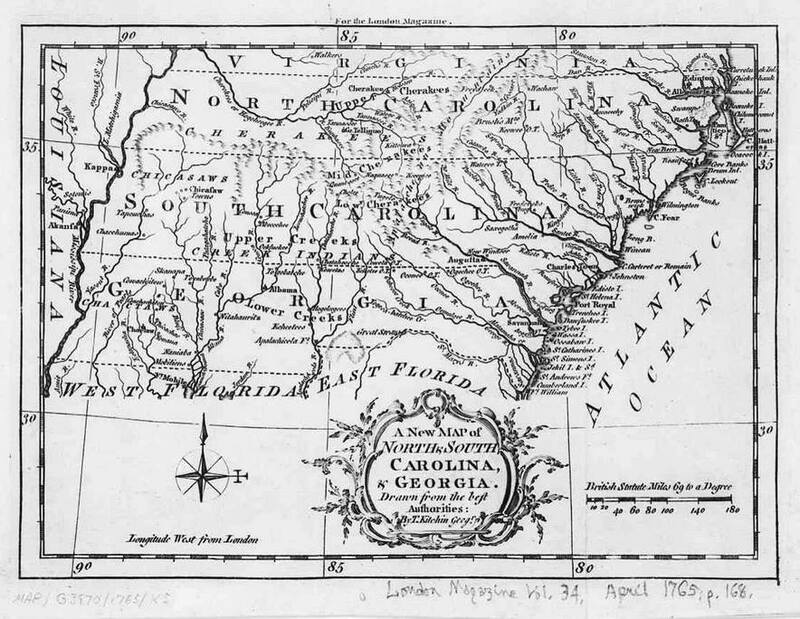 This 1765 map of North Carolina, South Carolina and Georgia shows the locations of Native tribes and villages. Hat tip to Yvonne for this map source. This entry was posted in Georgia, Maps, North Carolina, South Carolina. Bookmark the permalink.